Cool, crisp nights and warm sun that feels like a hug from an old friend. Fall, we’re so glad you’re here! What better way to celebrate the change of seasons than with a family outing to the apple orchard. Fall’s fruit tastes even sweeter when you’ve picked it yourself. Whether you fill your baskets from a small town orchard’s trees or shop the local farmers market, one thing is for sure-the sweet, tart taste of a just-picked apple pairs perfectly with the savory rich flavors of deli meats and cheeses. It’s a perfect time of year to add a slice of apple to your favorite recipes. Here’s a few we think you’ll love. We love pairing our mouth-watering meats with fresh sweet flavors. DI LUSSO® Oven Roasted Chicken and Havarti Herb Cheese provide the rich full flavor in this Chicken, Havarti and Apple Butter Sandwich. Fresh arugula and a few slices of your favorite varietal apple add a fresh and peppery sweetness. Served on a crusty baguette spread with apple butter, you’ll be loving fall even more. Gorgeous presentation and perfect for entertaining, Smoked Turkey, Apple and Blue Cheese Bites offer a delicious contrast of sweet and savory. So incredibly simple too! 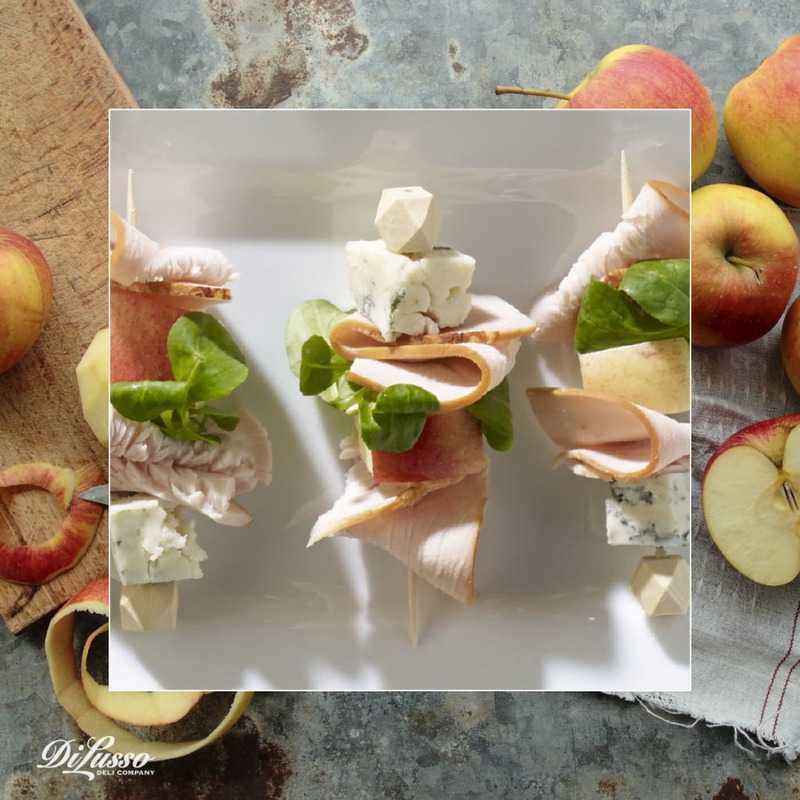 Only four ingredients– DI LUSSO® Smoked Turkey, a rich blue cheese wedge, a slice of your favorite apple (we love Honeycrisp) and fresh watercress. Make them mellow by substituting a mild Havarti or smooth Gouda. Because cheese makes everything better. A premium aged Cheddar, like DI LUSSO® Wisconsin Sharp Cheddar Cheese highlights the sweet and tart flavor of the applies like nothing else. Go ahead... sprinkle a little extra cinnamon and sugar on top too. 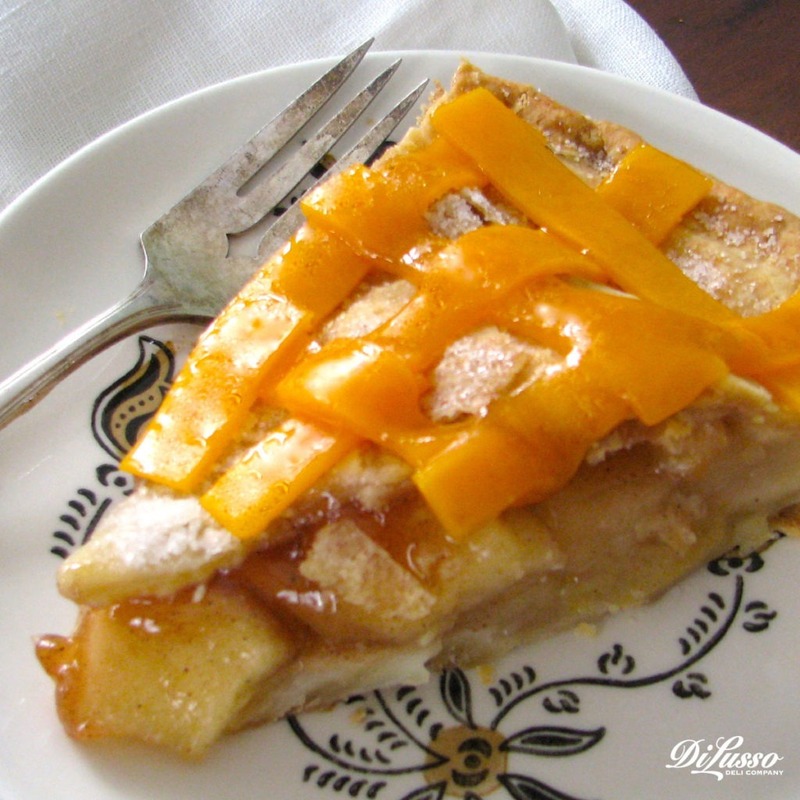 Fall, winter,spring or summer, your family will fall in love with Cheddar Apple Pie. Colorful and flavorful, our Harvest Salad features a bountiful mix of fresh and full flavors. For those that love to pair sweet and savory, you’ll be in heaven. Strips of DI LUSSO® Oven Roasted Chicken Breast, dried cranberries or cherries, toasted pecans, sliced apples and crumbled goat cheese served on a delicate bed of baby greens. Our vinaigrette is the perfect finish with apple cider vinegar, pure maple syrup and a hint of DI LUSSO™ Dijon Mustard. This is one of those salads you’ll be talking about all season. And making again and again. 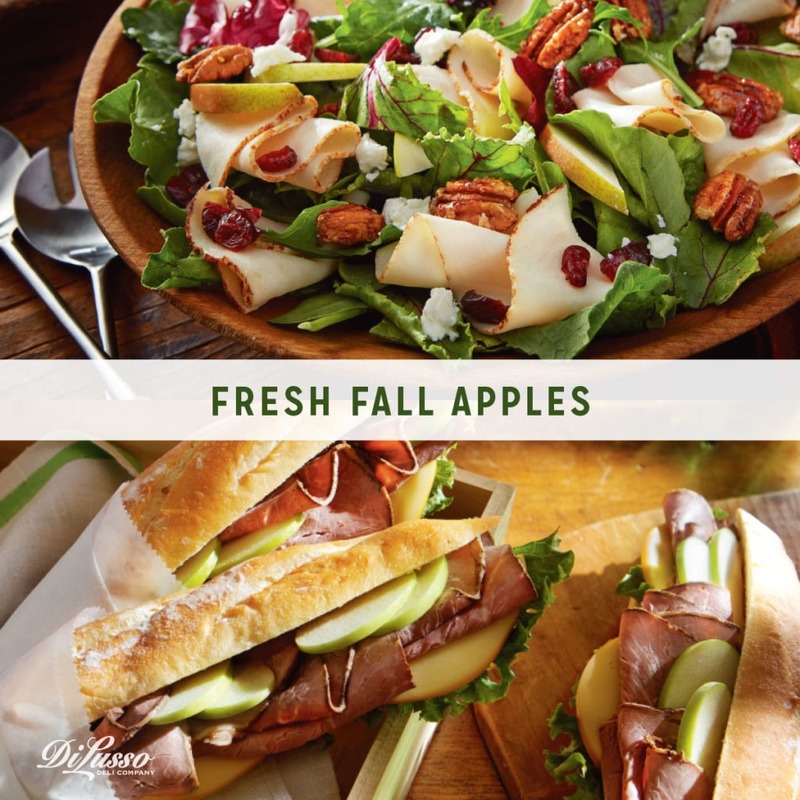 Crisp and tart green apples layered with generous folds of DI LUSSO® Seasoned Roast Beef and Artisan Smoked Gouda Cheese come together to create a delicious blend of flavors. Our Roast Beef, Cheese and Apple Breadsticks are brushed with a touch of DI LUSSO™ Deli Style mustard and horseradish sauce for just the slightest hint of bite. Serve them on split breadsticks sandwich style or open face and plated for flavorful fall lunch or appetizer at your next gathering.